The Welles Juice Press (also known as the Peoples Juice Press) extracts juice containing high levels of nutrients from fruit and vegetables by pressing (squeezing) pulp. The nutrients and juice are forced out of the pulp fibers when pressed using 2 tons of pressure. The pressure exerted by this pressing method is thought to release extra nutrients and enzymes that would otherwise 'adhere' to the pulp and left behind by juicing machines. This is a manual juice press that works by placing the fruit and vegetable pulp from a juice extracting machine, such as Samson 6-1 or Green Power KPE juicers. You can use left over pulp for the juicing process, or just use the juicer to make pulp with the appropriate attachment. The pulp is placed into a pressing cloth (2 are supplied with the Welles Press), then the cloth is folded and placed on the drip tray. The tray is raised using the jack handle, pressing the cloth between the juicing plate and the drip tray. When the pressing cloth containing the pulp is squeezed between the tray and the pressing plate the juice and nutrients are extracted from the pulp and flow off the drip tray into a bowl or other catcher (not included). 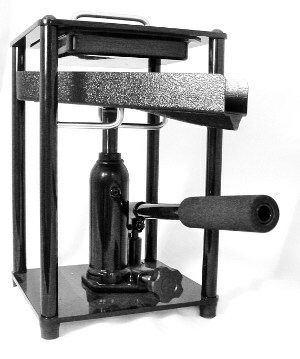 You can also use the Welles Press with whole produce such as grapes by placing them directly into the pressing cloth. Cleaning the Welles - Peoples Juice Press is simple, just slide the tray out along with the press plate and rinse it in warm water. Rinse the pressing cloth and store it in the freezer to keep it sterile. The pulp from organic vegetables is too valuable to be discarded. Pressing actually releases vitamins, minerals and enzymes that literally "bind" to the pulp. The hydraulic press separates the bio-available nutrients that act as powerful healing agents by improving red blood cell function. The "live" enzymes renew the tissues of the body. Juice pressing purifies and increases the vital force of the vegetables. Pressed juice is quickly assimilated and produces a surprising energy lift. This vital energy is used to heal the body. 1 Year Limited Warranty on Hydraulic Jack. From Erich Salas of Pismo Beach, California on 11/8/2018 . I've been juicing fairly consistently with a Champion Juicer since 1980 thinking I was getting everything out of the fruits & vegetables. I now press the pulp after I juice it with the Champion Juicier and get an extra 8 - 10 ounces of pure deliciousness. It's extra work but well worth it! From Pete of Stevenson, Washington on 7/12/2018 . Requires a little more work than single stage juicers but the juice taste, and I assume quality, is superior to any single stage jucer I have used. The juice is better tasting, seems more vital, more complex, and entirely pulp free. If you don't mind taking the extra time to juice in two stages, this might be the juicer for you. From VAROUJ of SAN PEDRO, California on 1/23/2018 . YOU HAVE TO MANUAL STRENGHT BUT FOR THE PRICE IT IS WORTH IT. From Robert Farina of Dix Hills, New York on 5/11/2017 . So far I really like this machine. Its seems like its a high quality design. From Ruth of indianapolis, Indiana on 2/27/2017 . Enjoyed speaking with a real person before I bought. Asked questions that were promptly answered. I feel that I received what I asked for and that it shall be much more economical than the Norwalk, and have the same results. 2/22/2015 – what do you recommend to Triturating fruits and veggies prior to pressing? 2/22/2015 – What is the dimensions of the effective pressing area. 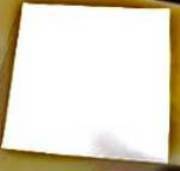 Response From Healthnut Samson A&B Health Wholesale: The Drip Tray, onto which the pressing cloth with pulp, measures 6.75" x 6.75".